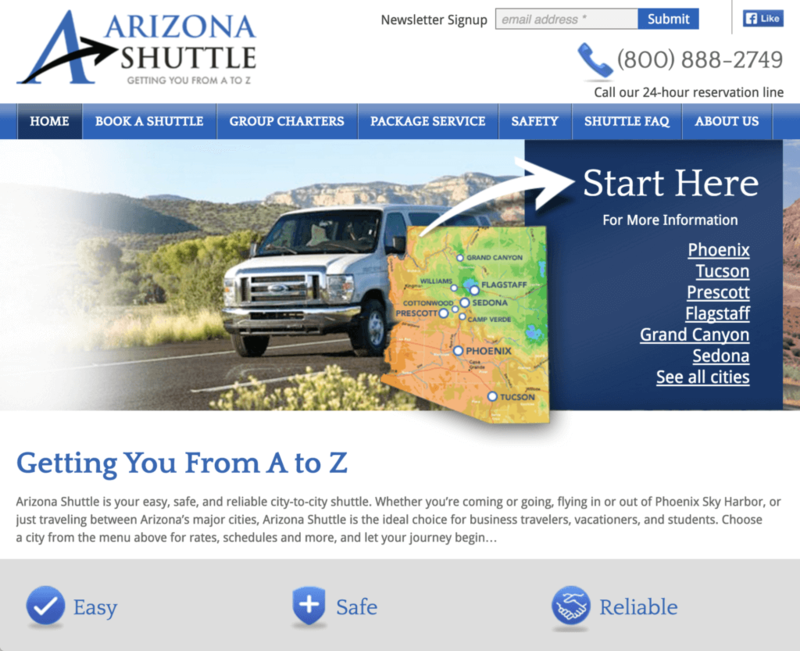 Arizona Shuttle operates between Arizona’s top vacation destinations and Phoenix Sky Harbor airport. To help them position themselves against a popular local shuttle, as well as to compete against several smaller van services in some of their destination cities, we worked with fp2 Marketing to design a new logo, write a tagline, design van graphics, write print ads, and design and build this full-featured website. The website includes numerous integrated maps and a complex user flow to direct customers to the appropriate booking page for the shuttle connecting their origin and destination cities.